There used to be a small demo-party called Bünzli held in summer in Winterthur, I loved to go there, it was close the atmosphere was mellow and friendly, maybe because of the size. Then the party got renamed Demodays and moved to Olten, I got busy and did not go anymore. Yesterday I finally went to this year’s edition, I could not attend the full party, only the saturday evening, but it was nice to go there, meet people, and see a few things. One speciality of Bünzli party is the OHP competition. 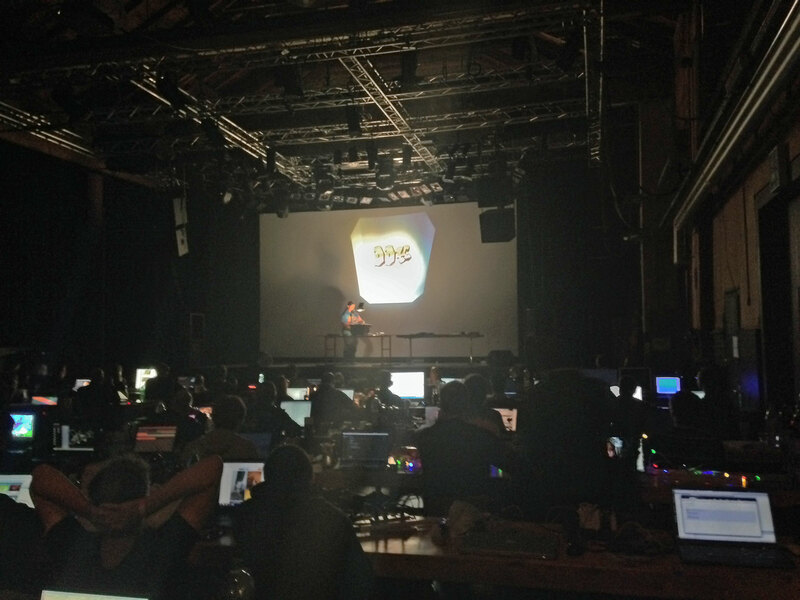 While normal demo runs on computer and are projected on-screen, this one is about building a composition using an real overhead projector (hence OHP), no computer is involved in the actual rendering. Some do some pretty smart things using moiré and interference patterns, other just animate with papers or other random things. This year had some really good moiré effects. There was also a presentation of this year’s best demos, typically presented at other parties. I was extremely impressed by Rift from The Black Lotus. This is an Amiga AGA composition, so a program that runs on a 25 Mhz 68K machine. This is the same group that had done Starstruck. This entry was posted in Computer Science, English and tagged bünz.li, Demodays, Demoscene, OHP, Olten.